How do you make sure you have some good solid training runs while preparing for a marathon? 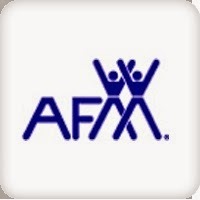 Pick a couple of half marathons and sign-up. Yes. Just sign up. Put the ego aside, slap on a cute, fun outfit , lace up your shoes and run for the sheer fun of running with friends. I happen to have a great community of runners here in Greensboro, NC. I tend to float from group to group so I can experience a nice, varied mix of people. This includes running with everyone from beginners to seasoned veterans (notice I didn't use the word 'old'. I'm taking issue with that word lately). I am what you call a undisciplined free spirited runner. I mainly run other people's plans. Am I a certified running coach? Yes. Do I care exactly what my training plan should be when preparing for a marathon? No. I have been running my whole life. I like to think I have a base that has a base. I do, however, make sure I build distances, then take an off week where I decrease mileage considerably. There is where that 'old' word comes back into play: In order for ME to stay healthy, I must listen to my body and give it proper rest when I need it. 2 weeks ago I paced the Cannonball Half Marathon in Greensboro. 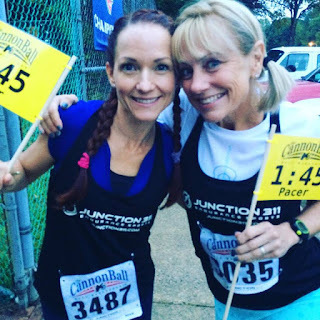 My friend, Jeriann and I paced the 1:45 group and had a blast talking, teaching, singing and coaching our group to the finish line in under 1:45. The skies were gloomy and humid, but it never rained. We remained upbeat and cheered everyone around us. THIS is what the love of running does. 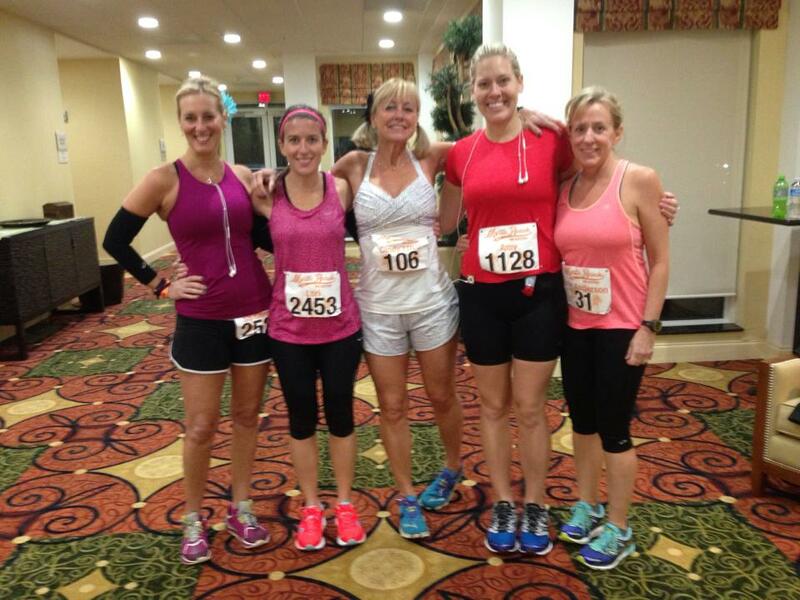 Jeriann is getting ready to run in the Marine Corps Marathon in D.C. So proud of her and her running accomplishments as a new runner! Yesterday was the Myrtle Beach Mini-Marathon (I love that they say 'mini' instead of 'half' marathon). I wanted to run happy, consistent and stay within 1:35-1:45 range. I ran each mile within 5 seconds of one another and allowed myself to go a little faster the last mile. I stayed in my sweet spot so that I didn't feel taxed, yet I knew I was working. I worked myself comfortably to a 1:37:44 finish, which translated to a 7:27 average mile. 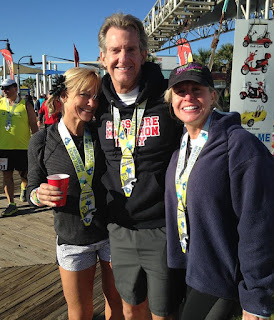 I was so happy to run into these running friends after the race! Johnny and Suzette Redwine, We competed in the Denver Rock and Roll Marathon together last October. I just adore these two! Running happy (for me) involves a couple of things: great traveling companions and perfect weather. I had great travelling companions and the weather was PERFECT for running. It was windy, but the temperature ranged from 45-60 degrees. Aah, perfect running weather! 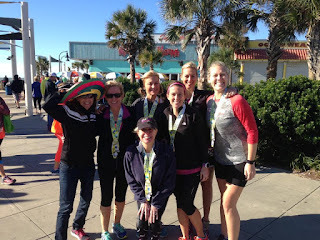 Here is the gang trying to stay warm before the start: Christie, Lori, me, Amy and Erin. Erin was competing in her first half-marathon ever and cruised her way in to a 2:07 finish. She was wanting under 2:30. I say she crushed her goal. Don't you? We had a great race mom: Amanda. Amanda drove us to the start line, parked the car at the finish line, and cheered for us with her sombrero on throughout the course. Everything went smoothly and thanks to her super driving skills it was a fun weekend. Here we are trying to stay warm after the race! Next up: TCS New York City Marathon...do I have a race plan? Yes. Finish. I want to run happy so I can take it all in and enjoy myself. I need to BQ so that if a certain group of special running friends all qualify we will go together in 2017. The only time I enjoy being old is the qualifying BQ time for my age is 3:55. I need to race under 3:49 to secure my spot. I know I have been terrible about blogging this past year. I keep thinking things need to be EPIC. I am accepting that this is my issue and I will work on it this year.....through the blog. Thanks for reading!